Internet Explorer lacks many features compared to better browsers like Chrome and Firefox, including the popular add-ons called extensions. 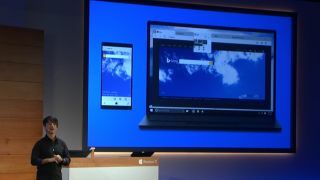 That will change with Microsoft's new Windows 10 browser, codenamed Project Spartan, which the company hopes will appeal to fans of Google's and Mozilla's browsers. Microsoft's @IE Dev Chat Twitter account confirmed during a conversation with users that they're "working on a plan for extensions for a future update to Project Spartan." Extensions let users customize their browsers with a variety of features. According to The Verge Microsoft is also working on a way for developers to port their Chrome extensions directly to Spartan, streamlining the process and potentially ensuring Spartan gains a library of extensions as quickly as possible. Project Spartan will ship with all Windows 10 devices beginning this year.